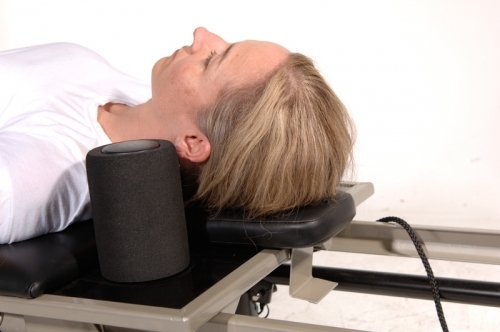 The Head and Neck Support Pillow supports the natural curve of your neck while you perform Pilates reformer exercises. Please note, however, that it should not be used with all exercises. Do not use the head and neck support pillow for exercises that require you to lift your hips higher than your head. 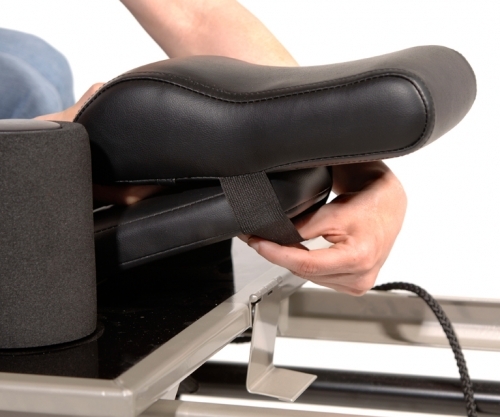 Do use the Head and Neck Support Pillow to provide comfort, support and postural alignment for reformer exercises that are performed while lying on your back. 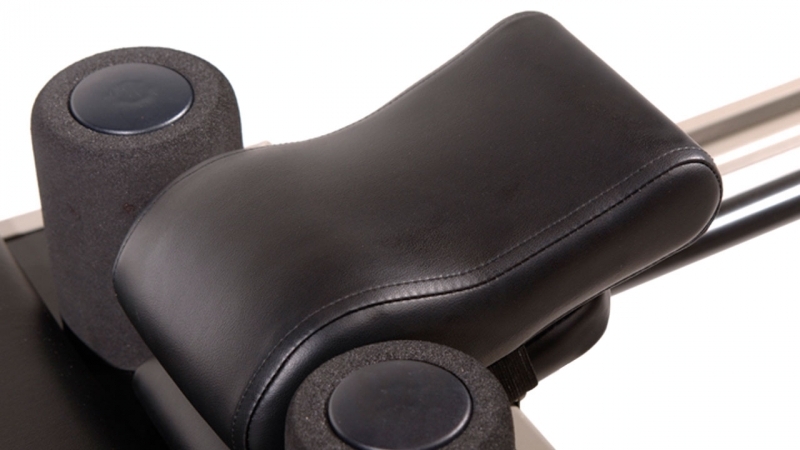 With the reformer headrest in the flat position, place the Head and Neck Support Pillow on top of the headrest with the thickest part nearest the carriage so the thick part will be under your neck. Secure the Head and Neck Support Pillow by slipping the elastic band around the headrest. Move the pillow toward you or away from you until it is comfortable. 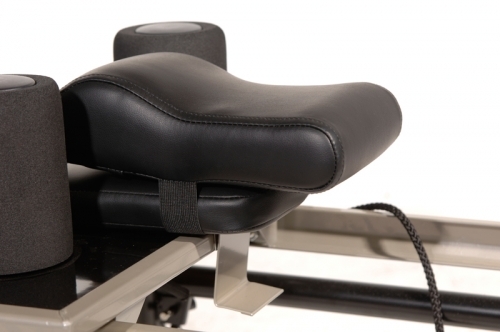 Call 800-875-9145 with any questions you may have about any of our Pilates products. Order your AeroPilates Head and Neck Support Pillow 55-0015 from FitnessZone.com today! Order your AeroPilates Head and Neck Support Pillow 55-0015 from FitnessZone.com today!